The five sculptures are all different but are all based loosely on the water towers that used to be so common above the streets of New York. 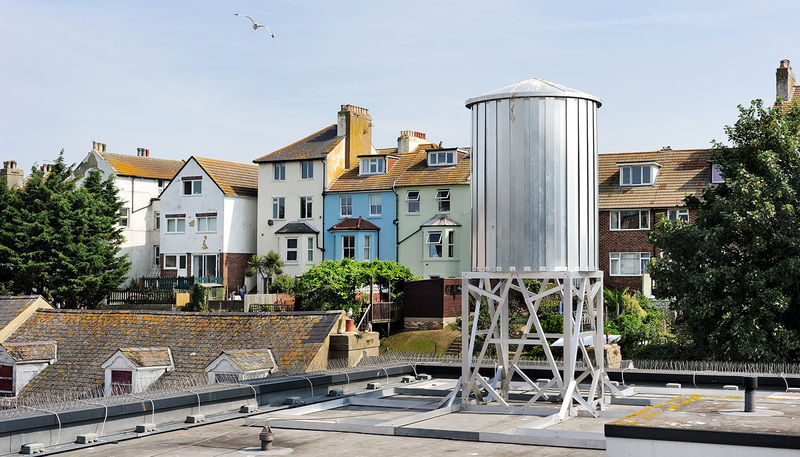 The sculptures have been placed along the line of the hidden waterways of the Pent Stream, mapping its course under the streets of East Folkestone by placing water towers above ground. These waterways gave Folkestone its shape, creating the harbour which attracted the initial human settlement, and providing not only fresh water to its inhabitants but also, in the post-medieval period, a source of power for industrial mills. 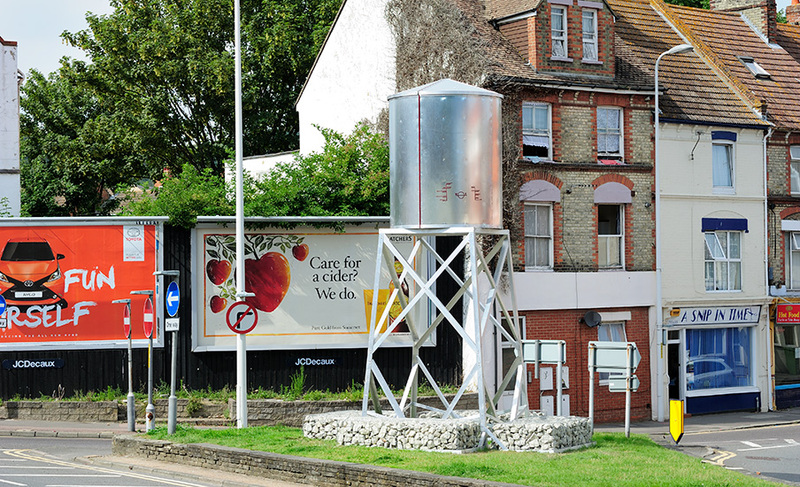 As a result of the search for building land near the city centre, the streams were culverted in the nineteenth century; and the water flow was also severely reduced by the massive infrastructural works for the M20 motorway and the Channel Tunnel high speed line and marshalling yards. Today the water flows untapped, unused and unseen from the hills to its outflow at Folkestone Harbour. Pent House 1 is placed near the former public baths and the site of the Silver Spring bottling company. 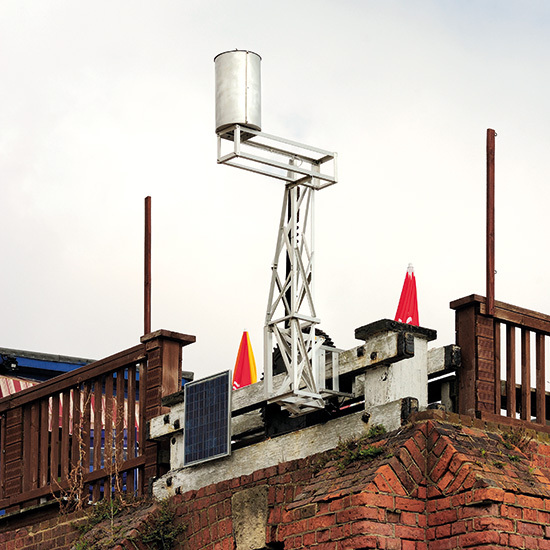 It also carries a Plimsol Line marking – the maritime campaigner and reformer Samuel Plimsol spent his last years in Folkestone. Pent House 2 stands at the site of the bridge over the Pent at the highest tidal point of the stream, the top end of the former inlet. Pent House 3 and 4 can be found above Tontine Street, while Pent House 5 stands over the outflow of the stream into the present day inner harbour, and has an audio component. 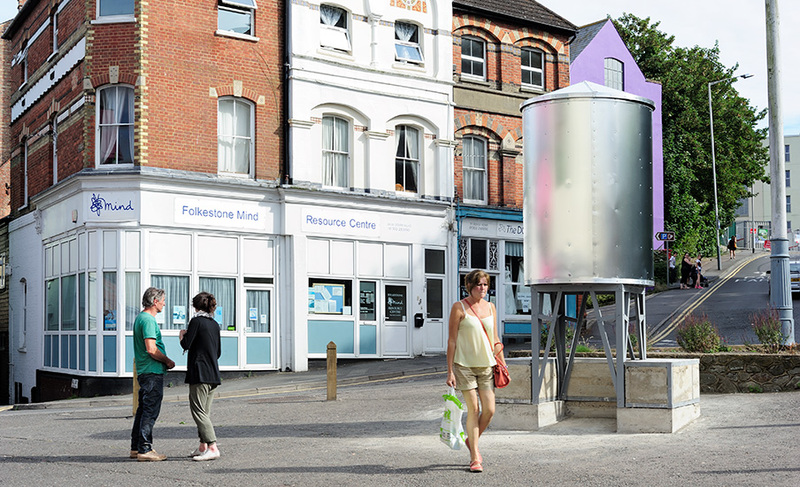 Diane Dever and Jonathan Wright from Folkestone Triennial on Vimeo. Various locations around Folkestone Creative Quarter. Please see map for details.